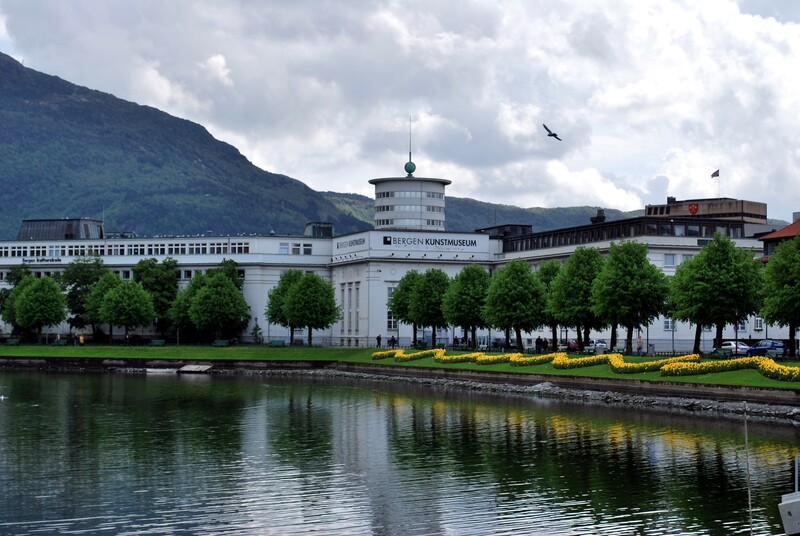 Today saw a the launch of a season of events combining art and yoga in the city of Bergen. This has literally been my dream since moving to the city almost two years ago, and i´m SO grateful to Helga, Bergen Kunstmuseum and all the amazing people who came along today to join the experience this spring Sunday. Some of you may recall we held a session at Kunsthallen last autumn, plus other events in cultural landmarks in the city. This project aims to provide more of an opportunity to spend time in dream spaces, amongst some incredible artworks (yourselves included!) as each week we explore the environment, themes and practice. It is my belief that we are each artists, creating and curating the lives we want to lead (at least, hopefully!) and to me art represents exploration, expression and truth, and I see yoga in very much the same way. We explore our bodies and thus our capacity, and often our limitations. We express through connecting to our experience in that present moment . And all of this is not possible without truthfulness. We have to be honest with ourselves, how do we feel, physically, emotionally, spiritually? What is going on for us if we move in a particular way? Can we truly breathe to our full capacity despite being in an awkward position? Might we change something and choose to experience it in a different way? Offer a different reaction to a situation? Reflect upon something that is presented to us and find a clearer meaning? This is art, and this is yoga, on and off the mat. The combination of these new territories and our yoga practice is an opportunity to experience something with a new perspective, crucial to keeping us in the moment (did i mention breath?!). Our practice is personal, unique and perfect. A piece of art. And what´s also interesting is the chance to explore this perspective through our environment, the way we uniquely perceive art, around us and as part of us, and it´s up to us to create our own experience, in our own time. So what´s in store for the next event? On Tuesday 22 May, we return to the palace of Tårnsalen and our focus will be on one piece of art by Johannes Rian in combination with composition and balance. And the rest of the season? Classes will be held each Tuesday at 15:30 – 16:45, so please arrive in time to get koselig. Please bring your own mat, or feel welcome to borrow from us (we have 10). 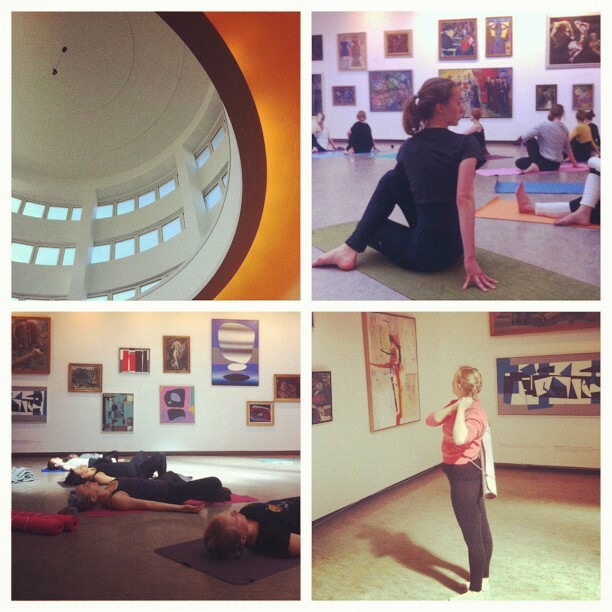 The yoga class is free, you just pay entrance into the gallery (100kr or 50kr for students). More information about the project here plus maps and practicalities for the museum here. Takk again to all of you for making today possible. Overwhelmed with your awesome! This entry was posted in #365yoga, news, playlists, schedule and tagged art, Bergen Kunstmuseum, Johannes Rian, Tårnsalen, yoga. Bookmark the permalink.